"Very professional. Seamless and hassle-free process. They were very proactive about educating us about what we were purchasing and how it would work. They took care of everything in a timely and professional manner. Very satisfied with their services." Sunstreet has provided great customer service since the beginning. Kudos to Joshua Lake and Cailen Pierce-Mangel. I really love my solar charger gift! Thank you!! "Jeff came to the house and he was the best technician on many levels..very knowledgeable." "All contact with SunStreet has been amazing. They have provided amazing customer service." "Corey from SunStreet was great. He explained all the functions and how to deactivate if needed. Even a non-technical person like myself understood." "The SunStreet Representative was awesome, I would rate her a fifteen if I could." "My electric bill is cheap for once!" "So far so good. From the first time I spoke with Aina, questions were answered, and clarification given to misunderstanding. The technician came and got things started sooner than expected." "My SunStreet rep, Jonathan I believe it was, was very nice and explained everything clearly. The activation was simple and informative. The solar cell charger was a nice gift!" "Our first time having solar and been such an amazing experience!" "Cory was friendly and able to get answers to all my questions." "Excited about the solar, and it's already providing benefits." "The SunStreet representative was very knowledgeable and even helped me set up the home automation. He was great and very personable as well." "Our rep was great! Knows how to get the job done on all levels!" "Thus far, I've been very happy with the solar service. I must admit I was intimidated but they have explained it and have been very professional and efficient." "The solar experience was great." "No complaints and the solar company was fast and accurate"
"Representative and staff very professional and helpful"
"From the very beginning, SunStreet has followed through with their commitment." "So happy we are in a solar home/community." "The solar system representatives were very knowledgeable and friendly." "The activation process was simple and quick." "They were at the house within 15 minutes once we had the authorization. It was great. We were leaving out of town in a few hours and they showed up right away. It was wonderful." "Chris Barnes, SunStreet's activation specialist, was courtesy and friendly. Explained everything from how it works and who to contact if any further questions or any problems that may arise." 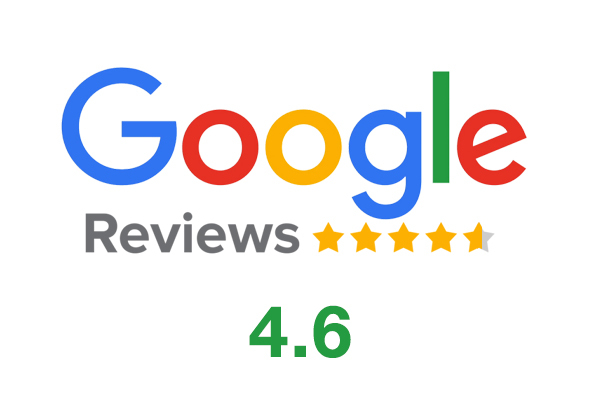 "Chris Barnes, Joann Jimenez, and David Espinosa were extremely helpful when we needed to get our solar system activated. Chris in particular was more knowledgeable than any other technician we have encountered in the industry." "It was easy. I called the guy to activate it, and that was it." "They were here the next day. They explained the whole process and explained my bill. They were really responsive." "They went overboard to do a good job." "The Enlighten website is so cool! You can see the output of the system in 15 minute chunks and they even let you export your data to a spreadsheet! It's so neat, I love data and I'm really glad they let us see it all." "They were great at setting up times." "They were great, no problems. The representative who set up/turned on my solar in the home was particular nice. It was also particular nice of SunStreet to give a welcome home gift of free solar power pack for cell phones etc." "We loved the solar customer service and installer. Everyone is so professional. Our first Edison bill was one dollar!" "Very professional, explained where I was able to understand." "So far we have had a pleasant experience." "Excellent; they explained all and I am currently saving tons on my electric bill; the only issue I had was when we scheduled the appointment I understood it would be at a certain time and it would take two hours; but apparently the timeframe was around the time they would arrive not how long it would take. But the techs were excellent and did a great job. They went above in tagging our wire box." "I am glad to have solar as it is great for the environment and will save me money." "Our SunStreet rep was informative, professional and very helpful." "Quality staff every step of the way." "Love it! I want more!" "Great feature on the property and help with the power efficiency." "It was very easy to get activated and they were very pleasant." "The Solar set up was very easy." "After they addressed my issues and questions everything was fine." "Great buying experience and quality of home construction. Love the solar energy benefit." "I purchased solar and was delighted that the price was so affordable. Im looking forward to seeing the positive impact on my SCE bill." "No issues, staff has been great." "Great team. Knowledge and helpful." "It is great to have this feature in Southern California area." "Cesar is good and they are very understand on my schedule." "I like the solar pannel. SunStreet energy representatives are very professional." "Definitely a 10 on their customer service and interaction." "I had issues getting the system activated because of the internet. SunStreet was very understanding and patient." "Not too much experience so far but the startup was good and system is working well. "Chris is very knowledgeable on solar." "The guy that came out to activate it was awesome." "Very professional, knew all the answers to my questions, clean and tidy installation of the communications cables." "A special thanks to Chris Barnes, the install/activation technician. He is extremely knowledgeable and is able to explain information about the solar system that a customer can understand. His technical knowledge and assistance are unmatched. It was a pleasure dealing with him." "We're happy with the reduction of our energy costs." "They really monitor the system and call us or send someone to fix issue right away." "The solar process was seamless." "The representative was very knowledgeable and did a great job of answering our questions." "The quality and customer service of SunStreet exceeds any other experience I had with any Lennar subsidiary." "Very professional, friendly and always followed up." "I love the benefits of solar!" "It was smooth sailing getting the solar system activated. The SunStreet Energy representative was very thorough and quick to respond." "It's been great, and it is offsetting its value and more." "Very impressed with the speed at which solar panels were activated. Service was above and beyond expectation." "Our rep even helped with other home features, as well as connecting our solar and explaining the process. Could not have been better." "Great customer service throughout the process." "Chris came out today to activate our new service in Roseville, CA. He called ahead, was on time and was very courteous and friendly. He took the time to explain everything he was doing as he did it, continually asked me if I had any questions, and I never felt like I was interrupting his work or taking too much time with questions I had. The whole experience was great." "I thought Cory was incredibly professional and thorough. 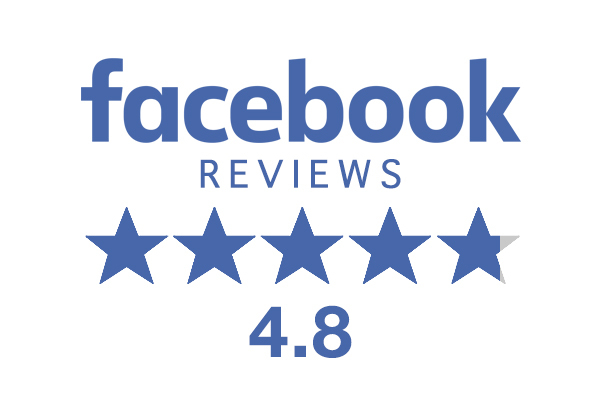 Did a great job of explaining everything and very respectful of our home and our time." "Rudy came by to activate our solar system this morning, he was on time and very professional. Rudy was assisted by Ron who was in training. Both men were very knowledgable about the operation adn installation of the system." "This was super easy to have done." "Love the solar saves me money." "Everyone was very helpful and courteous." "Josh and his team were excellent." "It was very easy to do." "SunStreet Energy was very helpful and answered questions exceptionally." "They were very professional. They were on time for their scheduled appointment." "The technician who activated our solar was very very nice and informative." "Could not be more happy with SunStreet!" "[Activation Tech] Was very knowledgeable and gave full explication of whole system." "The rep for the solar company that came out to activate the system even helped me with my cat-5 wiring for our PC's. Above and Beyond." "SunStreet was easy to work with and I enjoy being able to have some savings on our electricity bill." "The installer is very knowledgeable and professional!!" "Great customer care and explanation." "I'm waiting to see the impact on my bill. The SunStreet rep that activated my system was EXCELLENT!!! He explained everything to me." "The SunStreet representative, Chris, was great and beyond his duties to help me even understand the network setup in my house." "Some of the nicest people I have ever met." "Sunstreet has provided an excellent service from the outset." "The tech who came out to the house to turn it on was fabulous and very helpful." "Cesar called even after his work hours to answer questions." "First time using solar and the process, especially the explanation and activation, went better than expected. We were contacted often and they answered all the questions we asked, given our lack of overall exposure to this concept." "We are very happy to have solar energy in our home." "The person that activated it did a great job of explaining everything and answering our questions." "Very thorough explanations and great customer service from SunStreet." "The representative at SunStreet was a nice dude. He was super good." "Professional. Friendly. On time. Got the job done right the first time and explained all he did and answered questions." "Service has been great so far and SunStreet has been great with updating me with progress." "The tech who came out to set up our solar was awesome." "I would say my understanding of it is very good. I was very pleased with the representative who came out to set me up. He took his time, was very helpful, and it was very educational. I believe his name was Jeff." "Everyone at Sunstreet has been extremely professional and helpful." "I am happy with my bills monthly - it was way very low than my previous homes! The rep was very informative and I am happy with the home automation we have!" "Their communication and checking up with me to see how everything is going is excellent." "SunStreet was excellent with everything." "Our SunStreet system is scheduled to be activated in two weeks. That being said, every interaction I’ve had with SunStreet personal has been professional and prompt. I’ve only had to leave a message one time, and was called back promptly." "I originally was skeptic of Solar but after the implementation period, have no concerns." "Just had the solar activated last week, the rep (Cory) was great. One of the best & most courteous customer service reps I've worked with." "Everything with this has gone well so far." "We are excited to track the energy collected by the solar panels. Cory was incredible at explaining how they work and how to access information!" "Jeff at SunStreet was great." "I had no problem with SunStreet at all. They were friendly and were more than willing to help me out with pricing on the equipment on my home. They was prompt and kept checking in with me to see if I had any questions or concerns." "Amazing feature of the house." "They provided very friendly service." "The SunStreet representative I spoke to was very good." "Good call with the Solar personnel. He explained all the details patiently." "100% customer service oriented to please." "Alison was prompt in reaching out to us and explaining our Solar System benefits. Her team was quick to point out one of the units was not working and scheduled for it to be fixed." "Very streamlined process and user friendly. Looking forward to good savings." "I had to call a couple of times. They have been really good." "SunStreet was very communicative and proactive in their outreach." "My understanding of it wasn't very good but they came out faster than we thought and they hooked everything up and it works. The representative we dealt with was fantastic!" "The system activation was quick easy and Cory was very professional and knowledgeable about the system and got it up and running quickly." "The rep did a fantastic job in explaining the process, and the technician was very professional." "They've been very timely with their responses." "I like it even though we did not know anything about solar panels. The utility bill is much lower. It is nice." "The solar is great. It gives a nice discount on energy. The installation was quick and it works great." "We thought having Solar was going to complicate things. It did the opposite. I know what I am getting and how it is being used. SunStreet has communicated with us and make the transition smooth. We LOVE having Solar." "SunStreet energy came out as soon as Edison allowed them to activate solar system. They called me to schedule an activation date. Their staffs were nice and explained to me how to use their app and everything. Now I can track how much kWh my solar panels energy production daily." "We liked the idea of solar energy for two reasons: 1. Reducing our electricity cost. 2. Taking a load of the local utility company (SMUD), especially during peak energy demands as in 100+ degree weather." "Having solar included is a great incentive. I always wanted to have solar, but I always thought getting it was expensive to do on my own."